The comfortable way to energy efficiency. 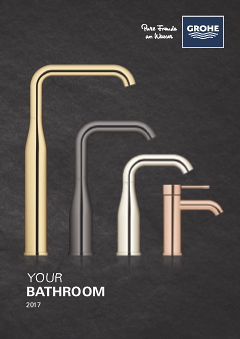 This Eurosmart Cosmopolitan bathroom tap is engineered with GROHE SilkMove ES technology, which means only cold water flows when the lever is in a central position. To turn on the warm water simply twist the lever to the left. As you'll cut warm water consumption in daily routines like brushing your teeth or washing your hands, this is good for the environment as well as your wallet. Reduce your water consumption by up to 50%, too, with GROHE EcoJoy and reap the full potential of the Eurosmart Cosmopolitan tap. Its appealing design, easy-clean chrome surface and handy pop-up waste complete this well-engineered product.